Starters and alternators work together like butter and jelly. Thankfully they’re much more reliable on today’s automobiles, because some models make it hard to test or service these components. Several Lexus and Cadillac Northstar V8’s put the starter under the intake manifold. Gone are the days where these parts hung off the engine like low hanging fruit. Even if they last longer it doesn’t mean that you’ll have trouble free operation from these two important electric mechanical devices. In case you ever have problems in this area here’s some information about how to test and diagnose them. Starters and alternators work in conjunction with the battery to make sure you have the required tools necessary to start the engine. When you turn your cars ignition to the start position a small amount of current will flow from the battery to a starter solenoid. This will activate the solenoid and sometimes a relay that will allow full battery voltage to flow to the starter motor via large diameter wiring. The motor then extends the starter drive that meshes with the flywheel mounted on the rear of the engines crankshaft. As the crankshaft turns the engine is rotated through its four strokes. At the correct time the ignition system will fire the spark plug to ignite the air fuel mixture. After a couple of successful ignition cycles, the engine will begin to rotate on its own without the need of the starter motor. At this point the driver will release the ignition key. Thanks to the spring in the ignition lock cylinder the key settles to the on, but not cranking position. The starter solenoid is then turned off and the gear drive retracts automatically. The cars battery is especially important to starters and alternators. In fact, the number one cause of an engine not starting condition is a dead car battery. Drivers should be aware of how old their battery is, because in most cases batteries won’t last more than five years under ideal conditions. The exception to this rule of thumb is the AGM (Absorbent Glass Mat) battery. They can go for 7 years. You can judge the length of your battery life by evaluating a few other factors. These include your driving characteristics and in some cases the weather in your chosen geographical location. While the starter is rotating the crankshaft, it uses a lot of electrical power. This is called starter draw. The amount of amps used can be measured and tested with a diagnostic machine known as a vat-40 or equivalent. They make a few different specialized testers for these 2 circuits. Often when the starter is beginning to fail it will show up in this draw test. With that said engine cranking will lower the amount of available power in a car battery even when the starter is working right. Therefore the alternator is needed to recharge the battery so the engine will start in the future. Charging systems and voltage regulators work together to recharge and maintain battery health. It also provides electrical power for the ignition system, air conditioner, heater, cell phone chargers, lights, radio, and all electrical related accessories when the engine is running. The charging system includes an AC generator, better known as an alternator. Also included in the charging system would be a voltage regulator, malfunction indicator light, and both heavy duty and light-duty wiring. The belt driven alternator converts mechanical energy into electrical energy. When the output or electrical current from the charging system flows back to the cars battery it is considered to be in a positive state of charge. When the alternator is turning slow and a large amount of accessories are in the on position the alternator may put out less than the vehicle requires. At this point the automobile is in a negative state of charge and is actually pulling power from the batteries. In most cases the negative state of charge condition is short term and compensated by a driving cycle where the positive state of charge, recovers and upholds the health of the battery. 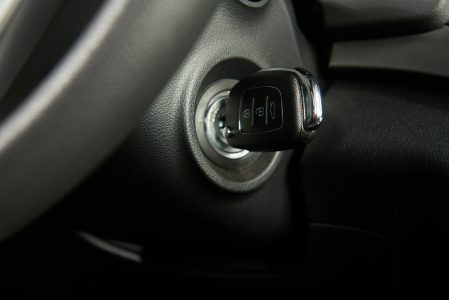 If you leave your vehicle idling in the driveway with the air conditioner on high at night with the lights on the vehicle will most likely be in the negative state of charge. If your driving habits include extremely short trips with long periods of idling, battery life could be affected in a negative way. Yes, the pun was intended for entertainment purposes. Vehicles that are used very little, coupled with very short driving cycles can experience dead batteries much more often than people with long commutes. In some cases it would be wise to use a battery maintenance charger on cars or light trucks that do a lot of sitting around between trips. Trickle chargers are inexpensive and have low amperage output making them light on the electricity bills. Battery minder products are top sellers on amazon at the time of this writing. This is a good way to extend battery and alternator life. The closer to a full charge the better in my opinion. Give this car starters and alternators page a share. Bonus Automotive Quiz Question: What is a bridge rectifier? The bridge rectifier converts the alternating current produced by the alternator into direct current used to charge the cars 12 volt battery. The components are internal, but often replaced separately when rebuilding a failed alternator. For more car related electrical information including theory and testing visit the page about automotive electrical systems. Some humor that would not fit into this article. I wanted to work into the conversation how starters and alternators worked together like bagels and cream cheese or like Scotch and Soda. I decided to leave a long list of items out of the story, because it would be more like Cowboy’s and Aliens. The YouFixCars.com Homepage is up next and supplies a brief overview of what automotive information is covered here.